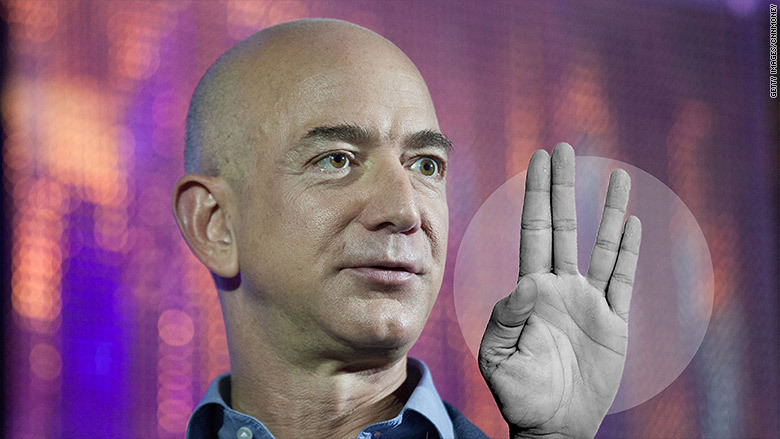 Amazon employees better start practicing the Vulcan salute. Their boss Jeff Bezos has landed a cameo role in the latest Star Trek movie. The billionaire founder and CEO of Amazon (AMZN) appears as an alien in 'Star Trek Beyond,' which opens on Friday. Amazon confirmed Bezos' appearance in the movie on Monday. Bezos is known to be a big fan of the franchise. He previously described playing Star Trek as a kid, and admitted the Star Trek computer was an inspiration for Amazon Echo, the company's popular voice-controlled speaker. 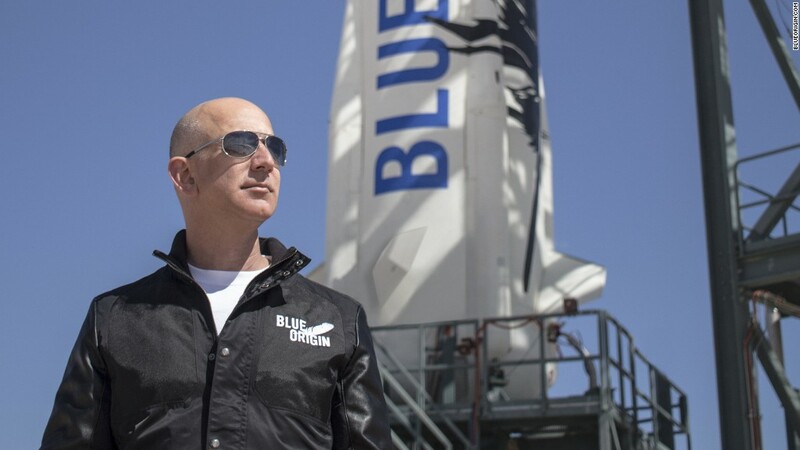 Bezos is listed in the credits as a 'Starfleet official' and reportedly wears a lot of makeup in the single shot he appears in. Chris Pine, who stars as Captain Kirk, told the Associated Press that Bezos caused a stir when he arrived on set with his entourage, which Pine said included nine bodyguards and three limousines. Related: Can Star Trek's world with no money work? Star Trek Beyond opens on Friday, in time for the science fiction franchise's 50th anniversary. The third installment of the rebooted series also stars Jon Cho, Simon Pegg and Zoe Saldana. The film is produced by J.J. Abrams, who directed the first two movies in the series: Star Trek (2009) and Star Trek Into Darkness (2013). The franchise has earned more than $850 million since 2009.